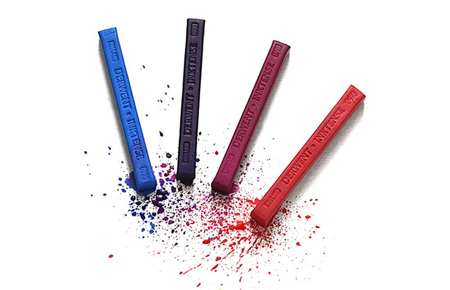 These chunky water-soluble ink blocks provide vibrant strokes of ink-like color, bringing a new sense of freedom and color to drawing and painting. When used dry, the blocks provide pure vibrant color, but can also be completely washed out and transformed into a translucent ink-like paint which, when dry, can be worked over. They are extremely versatile and can be used for a wide range of creative effects. They can be used like pans of paint, dipped in water to apply color directly to paper, used dry on wet paper for instant intense color and more. They can also be used on fabric to create stunning silk paintings and other craft projects.